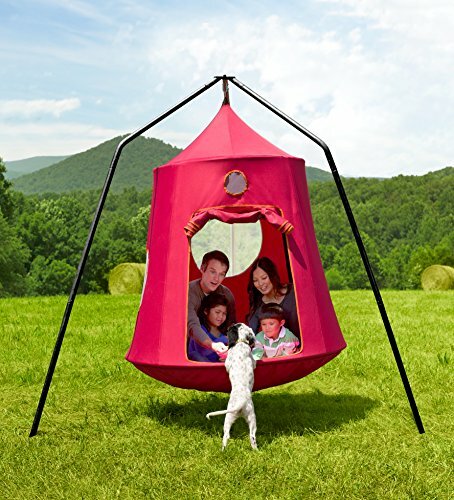 The award winning family sized HugglePod Hangout is a perfect way for the whole family to hang out, indoors or out. This red family sized Hugglepod combo set comes complete with a strong and durable steel stand that can hold up to 600 lbs in weight. 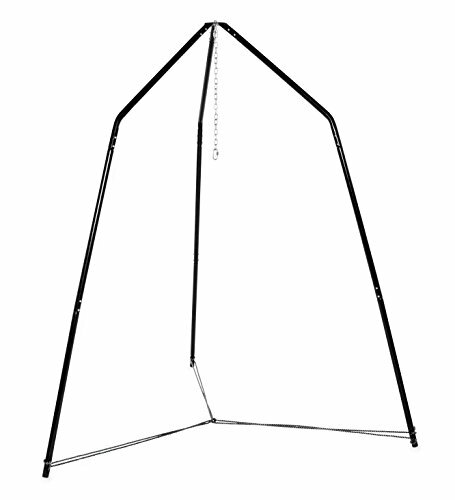 Thanks to the inclusion of the steel hanging stand you can hang your HugglePod wherever space permits. This is a real benefit since it could be a bit of a hassle finding a beam or tree strong enough to hold the whole family in the HugglePod. The actual HugglePod is only able to hold up to 500 lbs in weight (the stand can hold 600 lbs), it is therefore a wise choice to stay within the 500 lbs weight capacity to prevent tears in the stitching and damage. It is also a good idea for safety reasons. The large entrance of the Hugglepod allows for easy access for grown ups and kids. It is worth noting that the doorway does not zip shut, however it can be tied shut to keep all of the family safely contained within. 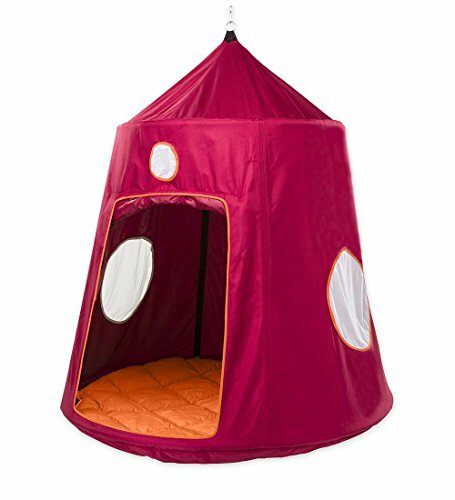 It is recommended this huggle pod is only suitable for kids over 4 years old, although younger kids should be fine provided they are monitored and supervised at all times. Once inside the huggle pod there is a soft comfortable cushion on the base where the whole family can snuggle down and relax. The HugglePod also features 3 large circular windows so you can easily see whats going on around you in the outside world. 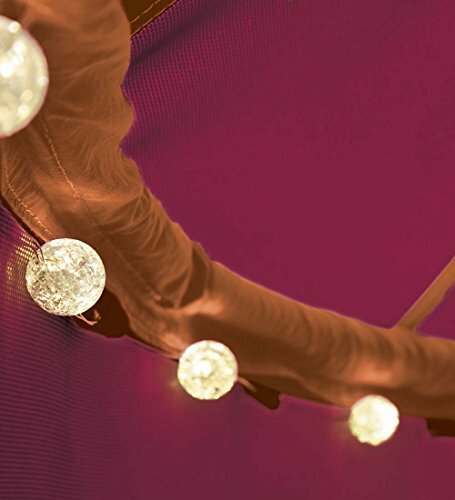 Around the upper diameter of the interior of the HugglePod are a ring of battery operated LED lights. The lights can be easily switched on and off via the easy to reach switch and require 3 x AA batteries (not included). The lights are a great way to add a little ambiance inside the pod and may prove useful at night should you and the kids wish to read a book. The family HugglePod is made from heavy duty 100% nylon canvas and the steel stand is powder coated for additional protection againnst rust and wear. Both the stand and the HugglePod can also be bought separately here.